I want to wish you all a very, Merry Christmas! 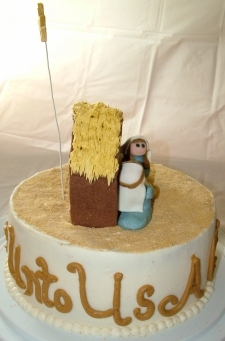 The cake for today is a nativity/Happy Birthday, Jesus cake that I’m bringing to a family get together today. 10″ cake, airbrushed with fondant cut outs. Today was the baby dedication for a little guy of a friend of mine. Last year I had the pleasure of doing her wedding cake so I was excited to have her call to ask me to do their little one’s baby dedication cake. She loved the color scheme of their wedding cake and wanted to replicate the colors/shape of it; only for the baby dedication. And this time we did polka dots! 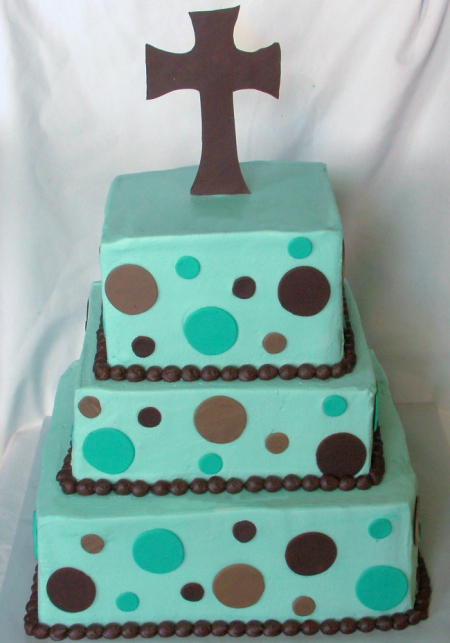 I love polka dots on cake. So fun! This cake is a 6″ – 8″ – 10″ square cake. 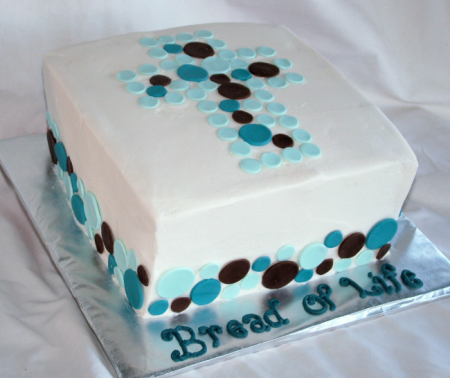 The dots and cross are fondant but the rest is buttercream. This is the other 1st Communion cake I made last week. 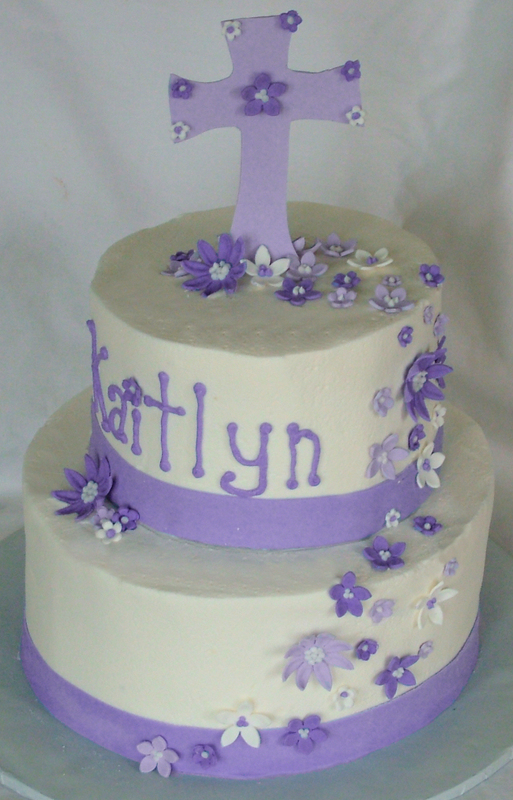 Also in purples with a cascade of flowers. 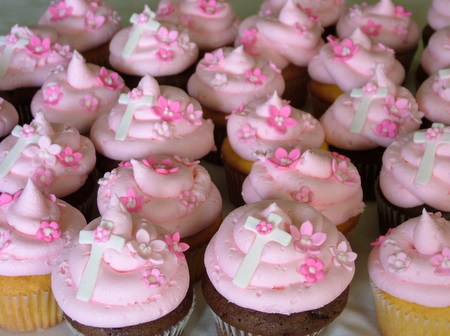 Cakes are 6″ and 8″. All items are edible. This was the first of two 1st Communion cakes I made last week. This one is a replica of one I made last year – only in purple this time. 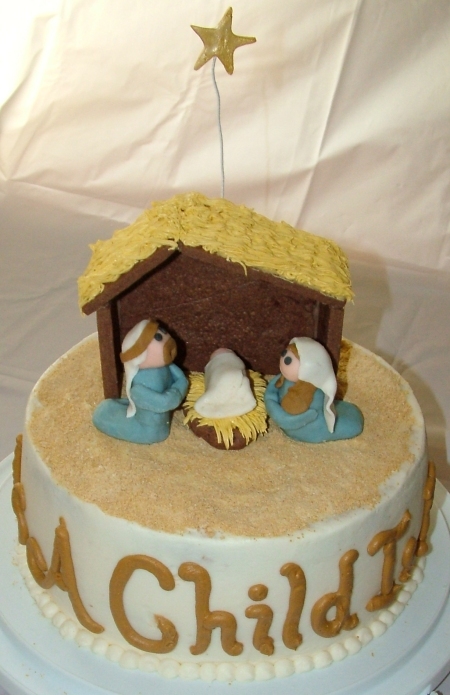 Cakes are 6″ and 8″ and everything is edible! 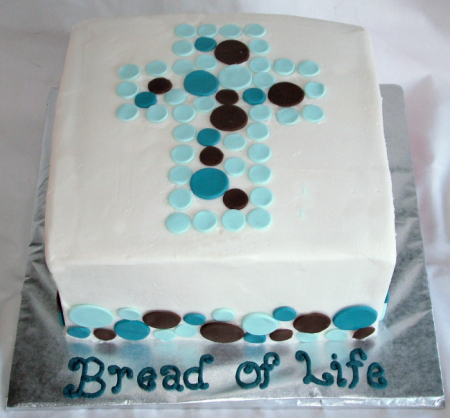 Another 1st Communion cake – this time an 8″ square buttercream cake with fondant dots. 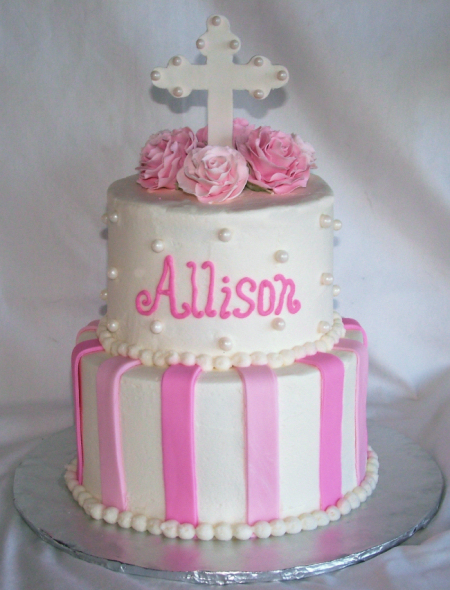 Two tier cake (6″ – 8″) for a little girl celebrating her 1st Communion. Gumpaste cross and roses. 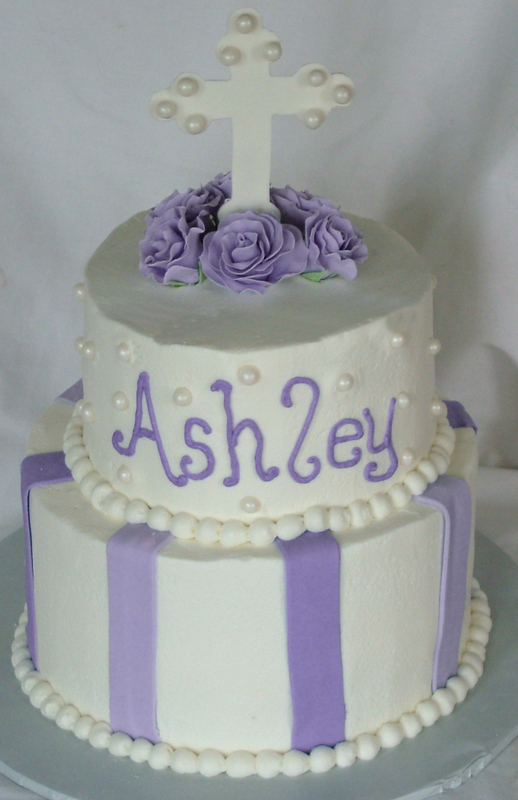 Buttercream icing with fondant accents. 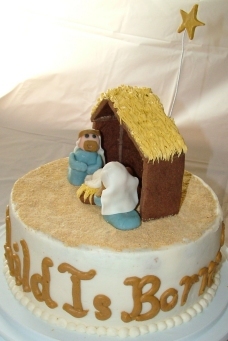 I made this cake for a family Christmas as a birthday cake for Jesus. The building is made of chocolate sugar cookie with icing on top. Figures are fondant. 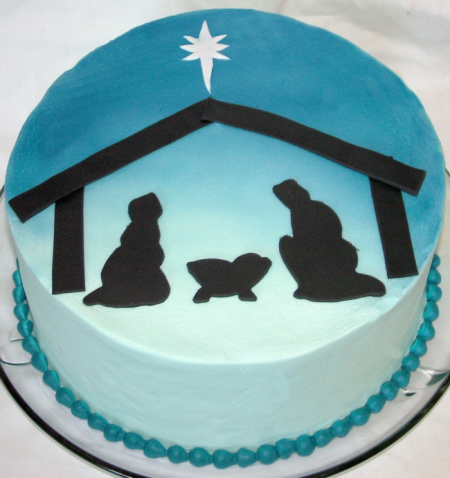 Cake has “For Unto Us A Child Is Born” written around it.